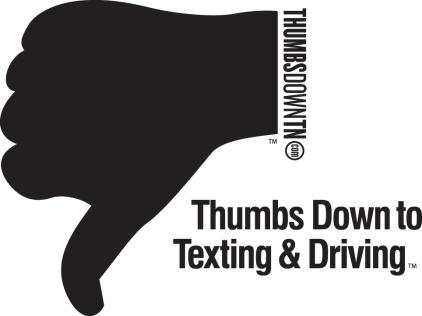 The Oak Ridge Police Department is partnering with the Tennessee Highway Safety Office (THSO) to promote the fourth annual Thumbs Down to Texting and Driving campaign during the month of April. April is nationally recognized as Distracted Driving Awareness Month. Agencies participate in the campaign by promoting safe driving habits and increasing awareness about the dangers of distracted driving. Throughout April, the ORPD and THSO will use #ThumbsDownTN to promote the campaign via social media.